I share a Youtube video I watched last night about Sextuplets who I remember watching as a child, and now they are in their 30’s. I just found it inspiring, and made me realise how lucky I am, as those parents of the Sextuplets must not have slept at all. I have also been watching the programs about Lady Diana, as it is 20 years since she died, and I remember that week so well, it was pure sadness. Even on the radio they kept playing ballads throughout that week up until the funeral and I remember just crying my heart out. It to me was so cruel, because she still had so much more to give and her life was changing for the better, but it came to a stop. It made me realise how fragile life can be and could come to an end at any minute, you just never know. I think she would be so proud of her two boys, because of the men they have become and her legacy will continue on through her two boys. As well as that I have taken up swimming and went this morning, even went to use the Spa but it was closed, but nice to do a bit of swimming, so refreshing and it is amazing how you can ache so much afterwards. I watched The Great British Bake Off last night on Channel 4. I am so glad they have kept to the same format, even though they have new presenters and a new judge, I really enjoyed it. A bit off putting with the adverts, but apart from that was good the first one, and what I like is that they hadn’t changed too much about it. Then there is Strictly Come Dancing. I can not wait for it to begin and already looking forward to seeing Bryan Conley and Debbie McGee, I just wonder who they will be paired up with and how the new judge Shirley Ballas, whom has taken over from Len Goodman, will be like. So lots more to come. I would love to know what you are looking forward to on TV, and if there is any programs you can recommend to me to watch. Are you too a strictly come dancing fan, I would love to hear from you. It was on Friday evening when I met up with my husband’s family and we were having a few drinks in the pub called Oasis, in Southampton, when I heard the news about Bruce Forsyth. I went to see him some years ago Live when I went to see the Sunday Night at the London Palladium, he was truly amazing. He didn’t have a warm up man or anything, he took charge of the audience throughout the show, and was in my eyes truly brilliant. I always say that you can tell when someone is truly good when they are brilliant live, and he truly was, and I am gutted that I never got my dream which was to tap dance in Sir Bruce, but I will always still dream of this in my heart. He was a truly a wonderful entertainer, see video below of his interviews. His legacy will continue, but you will not see another real entertainer like Sir Bruce again. He was one of a kind, and a national treasure, and he will be truly missed on our TV Screens. Truly talented, could play the piano, tap dance and be funny, and win the audience over all the time. God bless you Sir Bruce you were a True Entertainer. I thoroughly enjoyed the Athletic World Championships this year that ended last Sunday, and so happy that Great Britain and Northern Ireland did well in the relays. The Gold medal our boys won in the 4×100 relay was so unexpected that it made the championships even more amazing, as unfortunately Moy Farah didn’t get another gold in the 10,000 metres. My son now keeps mimicking the runners, and runs across our living room floor, so you never know I could end up having a 100 metres sprinter in our home, who knows! Now we have the football season again, but not as excited this year, as it is so much about the money that it has lost its spark in my opinion, I know there will be people reading this shouting NO, but sorry it has. It has been a good week took my son Swimming for the first time and he was so confident that he was like a little WATER BABY, and didn’t freak out once, as I had originally suspected. We took him to Richmond Pools, which had a childrens heated pool. Thank you mum, as now I want to go swimming again, it is such good exercise and fun, that you can do it as a whole family activity. Here’s a picture of my niece, Gracie and Henry eating some lunch together, which I took yesterday in Wimbledon Park, which has a little water fountain which children can play in, but Henry and Gracie were not interested in that so they played on the swings. 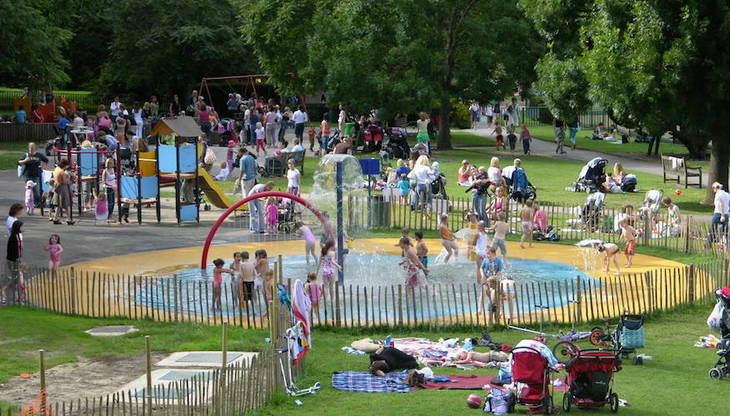 Wimbledon Park is a lovely park and not far away from the Wimbledon Tennis. It has about 3 playgrounds with different climbing frames and swings, and a cafe where you can have something to eat, and a lake where you can feed the ducks and the swans. If you are near the Wimbledon area, do check out Wimbledon Park, great location for kids and there are gates to each playground so kids can’t easily get out. They even had some bouncy castles there yesterday too, and Henry and Gracie enjoyed it so much they both fell asleep in the car on the way back home. Great place to go for a picnic this time of year. This weekend coming my hubby and I are going to have some time out just the two of us, and going to Southampton for the weekend to celebrate his brother’s, who passed away last year life, and spend sometime with his family. Since last week I have been enjoying the Athletic World Championships, being hosted in Londons Olympic stadium. Mo Farah is running again tonight, which I will try my hardest to stay awake for. Its been really good to watch, seeing all the events like the Javolin, hurdles and long jump. We brits have been unlucky, Laura Muir just missed out on a medal, and I know our girl Hitchon who took part in the hammer, just missed out too, she threw brilliantly but couldn’t quite make it to a winning throw though. I really want to see this film now, The Rock does the main charactors voice. My husband and I had a last minute weekend away in Southampton, to celebrate his brother’s birthday, who sadly no longer with us, with his mum and dad. We are going back to Southampton just my husband and I in a few weeks time, this time for another weekend away as it will be Marks Anniversary of when he sadly lost his life, and see my husband’s family again. Anyway that is it for this week, I hope to those on holiday now have a great one and I will post another blog as of next week. Hey everyone! I didn’t blog yesterday because I wanted to use the time to work on my next book, plus do a bit more walking which hasn’t been going too well but I try to do a bit each day. I have been loving my evenings watching TV, and watched what I consider a classic, Police Academy 3, I love that film and watching Jamie Olivier at home, where he shows how you can make delicious food buy using and growing your own produce. I watched the lovely document of where William and Harry speak about their mother Princess Diana, and how much of a great mother and people’s person she was. 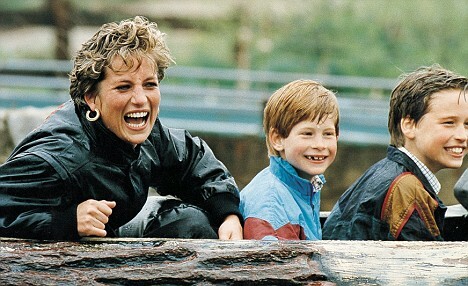 I think we can all say how proud Diana would be of her two boys. I took my friend up London, enjoying the sites by going on the London Eye Riverboat cruise. I never grow bored of doing that so peaceful and nice and then went to the London Aquarium to see some sharks and penguins. Then I send good bye to my mum and step dad whom are on holiday now, I so wanted to jump in their suitcase but I am sure they are relieved I didn’t. I was watching some YouTube videos today of planes, because I so want to go on a plane again, but sadly I will have to wait. It is UK for the time being. I am away this weekend to see family and enjoying the rest of the so called Summer.